When Vertex Pharmaceuticals’ Incivek generated more than $1 billion in sales in its first nine months on the market a few years ago, the pharmaceutical industry was put on notice that hepatitis C might just be a source of both major innovation and major sales. But even so, the performance of Gilead Sciences’ hep C portfolio during a 19-month period was several miles beyond unprecedented. From the launch of Sovaldi in December 2013 through the end of the second quarter of 2015, that drug and its follow-on Harvoni brought Gilead about $22 billion in sales, with Sovaldi setting a first-year record of more than $10 billion in 2014 and Harvoni tracking to easily break that and set a record for the highest annual revenue for any prescription product ever in 2015. Along the way, Gilead’s financials have been transformed – the company’s revenue more than doubled while net income nearly quadrupled in 2014 —and the decision to acquire Pharmasset back in 2011 for $11 billion, considered expensive and risky by many analysts back then, has been amply justified. By the end of the second quarter of 2015 Gilead was sitting on nearly $15 billion in liquidity, nearly six times what the company had at the beginning of the Sovaldi adventure at the end of 2013, putting it in an excellent position for M&A activity. And the competition has quite literally been wiped right off the market, with Vertex withdrawing Incivek in October 2014 and sales of J&J’s Olysio suffering a drop of more than 85 percent after the launch of Harvoni. On top of this, Gilead continues to make strides in its traditional wheelhouse of HIV, with Complera/Eviplera and Stribild moving past the billion-dollar mark for the first time with annual growth of more than 50 percent each and several other combination products awaiting FDA approval. Faced with all that, the editors of Med Ad News had little trouble naming Gilead as the magazine’s Company of the Year. In spite of all these records, though, Gilead executives remain focused on the science. Gilead’s top-line revenue for 2014 was $24.89 billion, an improvement of 122 percent (!) over the previous year. Net income nearly quadrupled, from $3.08 billion to $12.1 billion. Diluted EPS more than quadrupled, from $1.81 to $7.35. R&D spending rose 34.6 percent for 2014, to $2.85 billion. In the first half of 2015, the company’s top line rose 37.3 percent to $15.84 billion. Net income increased 50 percent year-over-year to $8.83 billion. Diluted EPS grew from $3.52 during first-half 2014 to $5.68. R&D expenditure improved from $1.18 billion to $1.51 billion during the first six months of 2015. Gilead executives are projecting full-year 2015 revenue at between $29 billion and $30 billion. The product line that would change the face of both Gilead and hepatitis C treatment was first acquired by the company when it purchased Pharmasset in November 2011 for the then-considered-steep price of $11 billion, a nearly 90 percent premium on Pharmasset’s market value at the time. Inspiring this kingly investment was the compound at the top of Pharmasset’s pipeline, then known as PSI-7977, which had recently been advanced into Phase III trials. That compound was later named sofosbuvir, and given the trade name Sovaldi when approved by FDA in December 2013. Practically from the moment of its approval, Sovaldi was breaking revenue records. The product was approved on December 6; by the end of the year it had already earned $139 million in sales. In its first full quarter on the market, Q1 of 2014, it became a blockbuster more than twice over, with $2.27 billion in sales. And by the end of 2014, Sovaldi had rolled up a total of $10.28 billion in sales for the year, by several orders of magnitude the greatest for any first-year drug ever, and No. 2 among all drugs for the year, behind only Humira. In fact, Sovaldi’s 2014 sales were less than $1 billion short of matching the entire revenue generated by Gilead during 2013. Sovaldi’s reign at the top of Gilead’s portfolio would be brief, though. In October 2014, FDA approved Harvoni (ledipasvir 90 milligrams/sofosbuvir 400 milligrams), the first once-daily single tablet regimen for the treatment of chronic hepatitis C genotype 1 infection in adults. Harvoni combines the NS5A inhibitor ledipasvir with Sovaldi. Harvoni’s efficacy has been established in patients with chronic hepatitis C virus (HCV) genotype 1 infection, with a treatment duration of eight, 12, or 24 weeks depending on prior treatment history, cirrhosis status, and baseline viral load. Eight weeks of treatment with Harvoni can be considered for treatment-naïve patients without cirrhosis who have baseline HCV viral load below 6 million IU/mL. The U.S. marketing clearance was followed by approvals in Europe during November and Japan during July. Harvoni’s FDA approval was supported by data from three Phase III studies, ION-1, ION-2, and ION-3. These studies evaluated eight, 12, or 24 weeks of treatment with Harvoni, with or without ribavirin, among nearly 2,000 genotype 1 HCV patients with compensated liver disease. The studies included non-cirrhotic treatment-naïve patients (ION-3), cirrhotic and non-cirrhotic treatment-naïve patients (ION-1), and cirrhotic and non-cirrhotic patients who failed prior therapy with an interferon-based regimen, including regimens containing an HCV protease inhibitor (ION-2). The primary endpoint for each study was sustained virologic response (HCV undetectable) 12 weeks after completing therapy (SVR12). Patients who achieve SVR12 are considered cured of HCV. In these studies, ribavirin was not shown to increase response rates. Trial participants in the ribavirin-free arms achieved SVR12 rates of 94 to 99 percent. That work has been paying off rapidly. In the final quarter of 2014, its very first on the market, Harvoni generated $2.18 billion in sales. 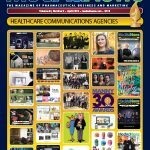 In the first half of 2015 the medicine brought in an extraordinary $7.19 billion in sales, putting it on pace to pass Sovaldi’s 2014 performance and set a record for highest annual brand revenue generated in industry history, with Lipitor producing about $13.7 billion between marketers Pfizer and Astellas Pharma in 2006. And even after being pushed out of the spotlight by its follow-on, Sovaldi still generated $2.26 billion in sales for the first half of 2015, meaning that Sovaldi-containing products were responsible for $9.45 billion in sales in the first half of the year alone. More may be coming. In April, Gilead announced preclinical data and results from Phase I and Phase II studies supporting the development of an investigational all-oral, pan-genotypic regimen of Sovaldi, the investigational NS5A inhibitor GS-5816, and GS-9857, an investigational NS3/4A protease inhibitor. In preclinical studies, GS-9857 demonstrated similarly potent antiviral activity against HCV replicons of all tested genotypes (1-6), as well as an improved resistance profile compared to other HCV protease inhibitors. In a healthy volunteer study, GS-9857 showed a favorable pharmacokinetic profile. Data from a three-day monotherapy study also demonstrated that GS-9857 was well-tolerated and achieved median HCV RNA reductions of more than 3 log10 IU/mL for HCV patients with genotypes 1, 2, 3, and 4 at the 100 milligram dose. A Phase II study of triple-combination therapy with a fixed-dose combo of SOF/GS-5816 plus GS-9857 among genotype 1 patients showed sustained virologic response (SVR12) rates following six weeks of treatment of 93 percent among treatment-naïve, non-cirrhotic patients, 87 percent among treatment-naïve, cirrhotic patients, and 67 percent among those who had failed therapy with two or more direct-acting antiviral agents. The four-week regimen resulted in a sub-optimal SVR12 rate of 27 percent. In September 2014, Gilead signed non-exclusive licensing agreements with seven India-based generic pharmaceutical manufacturers to expand access to its chronic hepatitis C medicines in developing countries. The agreements allow the companies – Cadila Healthcare Ltd., Cipla Ltd., Hetero Labs Ltd., Mylan Laboratories Ltd., Ranbaxy Laboratories Ltd., Sequent Scientific Ltd., and Strides Arcolab Ltd. – to manufacture Sovaldi and Harvoni for distribution in 91 developing countries. The countries within the agreement account for more than 100 million people living with hepatitis C, representing 54 percent of the total global infected population. In January, the company expanded these agreements to include the investigational NS5A inhibitor GS-5816, which is being evaluated in Phase III clinical studies as part of a single tablet regimen that combines the drug compound and Sovaldi for the treatment of all six genotypes of hepatitis C.
Under the licensing agreements, the Indian companies receive a complete technology transfer of the Gilead manufacturing process to enable them to scale up production as quickly as possible. The licensees also set their own prices for the generic product they produce, paying a royalty on sales to Gilead to support product registrations, medical education and training, safety monitoring and other essential business activities. The licenses also permit the manufacture of Sovaldi or Harvoni in combination with other chronic hepatitis C medicines. In December, Gilead announced an expansion to its agreement with Janssen R&D Ireland for the development and commercialization of a new once-daily single tablet regimen containing Gilead’s tenofovir alafenamide (TAF) and emtricitabine, and Janssen’s rilpivirine. The original agreement was established in 2009 for the development and commercialization of Complera – marketed as Eviplera in the European Union – which combines tenofovir disoproxil fumarate, emtricitabine, and rilpivirine in a once-daily tablet. Gilead will initiate Phase III studies of emtricitabine/rilpivirine/TAF in the coming months. Pending the product’s approval, Gilead will be responsible for the manufacturing, registration, distribution, and commercialization of the regimen in most countries, while Janssen will distribute in approximately 17 markets. TAF is a novel nucleotide reverse transcriptase inhibitor that has demonstrated high antiviral efficacy at a dose 10 times lower than Gilead’s Viread, as well as an improved renal and bone safety profile. Gilead and Janssen also amended a licensing agreement for the development and commercialization of a once-daily single tablet regimen for HIV containing Gilead’s TAF, emtricitabine, and cobicistat, and Janssen’s darunavir. Under the amended agreement, Janssen is responsible for further development of the regimen and, subject to regulatory approval, the manufacturing, registration, distribution, and commercialization of the product worldwide. Also in December, Gilead and Ono Pharmaceutical Group entered into an exclusive license agreement for the development and commercialization of ONO-4059, Ono’s oral Bruton’s tyrosine kinase (BTK) inhibitor for the treatment of B-cell malignancies and other diseases. Under the terms of the agreement, Gilead provided Ono with an upfront payment plus additional payments based upon achievement of certain development, regulatory, and commercial milestones. The companies are collaborating jointly on global development of ONO-4059. Gilead has exclusive rights to develop and commercialize ONO-4059 in all countries of the world outside of Japan, South Korea, Taiwan, China, and the Association of Southeast Asian Nations (ASEAN) countries, where Ono retains development and commercialization rights. ONO-4059 is a selective, once-daily, oral inhibitor of BTK, which has been shown to play a role in the survival and proliferation of malignant B-cells. Ono has presented preliminary Phase I data showing clinical activity in chronic lymphocytic leukemia and non-Hodgkin lymphoma at several scientific conferences. Ono and Gilead plan to develop ONO-4059 for the treatment of B-cell malignancies and other diseases as a monotherapy and in combination with approved and investigational agents, including combinations with kinase inhibitors in Gilead’s portfolio. In January, Gilead signed a definitive deal to acquire Phenex Pharmaceuticals AG’s Farnesoid X Receptor (FXR) program comprising small molecule FXR agonists for treating liver diseases including nonalcoholic steatohepatitis (NASH). Under the terms of the agreement, Gilead provided Phenex with an upfront payment plus additional payments based upon achievement of certain development milestones that may potentially be worth up to $470 million. NASH is a common, serious chronic liver disease characterized by inflammation and excessive fat accumulation in the liver and may lead to progressive fibrosis, cirrhosis, and liver failure. NASH is estimated to affect 10 to 20 percent of people in the developed world. There are currently no approved therapies to treat NASH. FXR is a nuclear hormone receptor that regulates bile acid, lipid and glucose homeostasis, which can help reduce liver steatosis and inflammation, and may help prevent liver fibrosis. In May, Gilead signed a definitive agreement to acquire EpiTherapeutics ApS for $65 million, subject to certain purchase price adjustments, to be financed through available cash on hand. EpiTherapeutics has generated a library of first-in-class, selective small molecule inhibitors of epigenetic regulation of gene transcription, in particular histone demethylases. The company’s lead pre-clinical compounds are being studied for the treatment of certain cancers. After Sovaldi, Gilead’s top-selling brand in 2014 was the HIV combination product Atripla, which generated $3.47 billion in sales, down 4.9 percent from the previous year. According to company leaders, this was mostly due to competition with other brands in the Gilead HIV portfolio, particularly Complera/Eviplera and Stribild. In first-half 2015, Atripla sales fell another 8.1 percent to $1.52 billion. Atripla is a combination of efavirenz, emtricitabine, and tenofovir. Next up in leading 2014 sales was the HIV drug Truvada, a combination of tenofovir disoproxil fumarate and emtricitabine. Truvada sales for the year totaled $3.34 billion, an improvement of 6.5 percent over 2013. Gilead executives credited this growth to an increase in selling prices and sales volume growth in the United States. In the first half of 2015, Truvada sales edged up another 3.4 percent to $1.62 billion. Another combination HIV product –the emtricitabine/rilpivirine/tenofovir combination Complera/Eviplera – was fifth among Gilead products in 2014, crossing the blockbuster barrier for the first time by growing 51.6 percent to $1.23 billion. Company leaders say this growth was due to sales volume growth in the United States and Europe. In first-half 2015, Complera/Eviplera sales rose another 24.9 percent to $687 million. Next up was yet another combination HIV therapy that grew even faster than Complera – the elvitegravir/cobicistat/emtricitabine/tenofovir combination product Stribild. Sales of Stribild more than doubled in 2014, from $539 million to $1.2 billion, again because of sales volume increases in the United States and Europe. In the first half of 2015, Stribild sales nearly improved to $803 million from $485 million in the one-year-earlier period. According to company executives, more than 70 percent of newly diagnosed HIV patients in the United States are now prescribed a Gilead single tablet regimen such as Atripla, Truvada, Complera, or Stribild. The fifth-ranked sales generator of Gilead’s HIV blockbusters, Viread, generated sales of $1.06 billion in 2014, an improvement of 10.3 percent. In the first half of 2015, Viread sales rose another 7 percent to $505 million. Moving outside HIV, sales of the pulmonary arterial hypertension product Letairis grew 14.4 percent to $595 million in 2014. In first-half 2015, Letairis sales rose 22 percent to $327 million. The angina product Ranexa generated sales of $510 million in 2014, an improvement of 13.6 percent. In the first half of 2015, the product’s sales were up another 10.3 percent to $258 million. In July 2014, FDA approved Zydelig (idelalisib) 150 milligram tablets for the treatment of three B-cell blood cancers. Zydelig is indicated in combination with rituximab for patients with relapsed chronic lymphocytic leukemia (CLL) for whom rituximab alone would be considered appropriate therapy and as monotherapy for patients with relapsed follicular B-cell non-Hodgkin lymphoma (FL) and small lymphocytic lymphoma (SLL) who have received at least two prior systemic therapies. Accelerated approval was granted for FL and SLL based on overall response rate. Zydelig is a first-in-class inhibitor of PI3K delta, a protein that is over-expressed in many B-cell malignancies and plays a role in the viability, proliferation and migration of these cancer cells. The product’s approval in CLL is supported primarily by data from a randomized, placebo-controlled Phase III trial of Zydelig plus rituximab in 220 patients with relapsed CLL who were not able to tolerate standard chemotherapy. The study was stopped early in October 2013 by an independent Data Monitoring Committee due to a highly statistically significant benefit in progression-free survival in the Zydelig arm as compared to those receiving rituximab alone. Median PFS was not reached in the Zydelig plus rituximab arm and was 5.5 months in the placebo plus rituximab arm. FDA granted Zydelig a Breakthrough Therapy designation for relapsed CLL. Zydelig’s accelerated approval in FL and SLL, two types of indolent non-Hodgkin lymphoma, were supported by data from a single-arm Phase II study of Zydelig monotherapy in patients refractory to rituximab and alkylating-agent-containing chemotherapy. In the study, Zydelig achieved an overall response rate of 54 percent and 58 percent, respectively, in FL and SLL patients. Of the responses seen in FL patients, 8 percent were complete responses; all 15 responses in SLL patients were partial responses. The median duration of response was 11.9 months in SLL patients and median duration of response was not reached in FL patients. Improvement in patient survival or disease related symptoms has not been established in these indications. In September 2014, Gilead announced results from the AMBITION study, a randomized, double-blind, multicenter study of first-line combination therapy with Letairis and tadalafil in patients with pulmonary arterial hypertension, which was conducted in collaboration with GlaxoSmithKline. In AMBITION, first-line treatment of pulmonary arterial hypertension with the combination of Leitairis 10 milligrams and tadalafil 40 milligrams reduced the risk of clinical failure by 50 percent compared to the pooled Leitairis and tadalafil monotherapy arm. The combination was also statistically significant versus the individual Leitairis and tadalafil monotherapy groups for the primary endpoint. Rates of serious adverse events and events leading to discontinuation were similar across treatment arms. Gilead submitted the AMBITION data in a supplemental new drug application to FDA in December 2014. Leitairis, a selective endothelin type-A receptor antagonist, and tadalafil, a PDE5 inhibitor, are each approved in the United States, the European Union, and other countries as once-daily treatments for PAH (WHO Group 1), in patients with WHO/NYHA functional class II and III symptoms. Leitairis is indicated in the United States to improve exercise ability and delay clinical worsening and in the EU to improve exercise capacity. Tadalafil, which is marketed as Adcirca, is indicated in the United States and the EU to improve exercise ability and capacity, respectively. Preclinical data have suggested these therapies may have synergistic effects. Also in September, Gilead announced results from a Phase II study evaluating simtuzumab, an investigational inhibitor of lysyl oxidase-like-2 (LOXL2), in combination with gemcitabine for patients with previously untreated advanced pancreatic cancer. In the study, the addition of simtuzumab (200 milligrams or 700 milligrams) to gemcitabine did not significantly increase progression-free survival compared to placebo plus gemcitabine. PFS was the primary endpoint of the study. In this randomized, double-blind, placebo-controlled Phase II trial, 236 patients with advanced pancreatic cancer received intravenous gemcitabine plus either intravenous simtuzumab or placebo in cycles of 28 days. Median PFS for the simtuzumab 200 milligrams, simtuzumab 700 milligrams, and placebo groups was 3.5 months, 3.7 months, and 3.7 months, respectively. The difference in PFS between the simtuzumab and placebo arms was not statistically significant. “Although simtuzumab did not provide clinical benefit in difficult-to-treat advanced pancreatic cancer patients in this study, we continue to explore simtuzumab in other areas of unmet medical need, with ongoing clinical trials in colorectal cancer, myelofibrosis, and serious fibrotic lung and liver diseases,” Dr. Bischofberger says. The investigational monoclonal antibody simtuzumab is highly selective for LOXL2, an enzyme that modifies the extracellular matrix by promoting the cross-linking of collagen fibers. LOXL2 is thought to play an important role in tumor progression and metastasis and in the development of fibrotic diseases. Simtuzumab is being evaluated in several Phase II trials, including in combination with FOLFIRI for advanced colorectal cancer, in combination with ruxolitinib for myelofibrosis, as monotherapy for the rare lung disease idiopathic pulmonary fibrosis, and for liver fibrosis caused by non-alcoholic steatohepatitis and primary sclerosing cholangitis. In November, Gilead filed an NDA to FDA for an investigational, once-daily single tablet regimen containing elvitegravir, cobicistat, emtricitabine, and tenofovir alafenamide (TAF) (E/C/F/TAF) for treating HIV-1 infection in adults. The data submitted in the NDA support use of the regimen among adult and adolescent treatment-naïve HIV individuals, virologically suppressed patients who switch regimens and those with renal impairment. If approved, E/C/F/TAF would be Gilead’s first single tablet regimen to contain TAF. The NDA for E/C/F/TAF is supported by 48-week data from two pivotal Phase III studies in which the regimen met its primary objective of non-inferiority compared to Gilead’s Stribild (elvitegravir 150 milligrams/cobicistat 150 milligrams/emtricitabine 200 milligrams/tenofovir disoproxil fumarate 300 milligrams) among treatment-naïve patients. In the studies, E/C/F/TAF demonstrated improved renal and bone safety compared to Stribild. The NDA is also supported by data from additional Phase III studies evaluating the TAF-based regimen among virologically suppressed patients who switched to E/C/F/TAF and among patients with renal impairment. In April, Gilead submitted an NDA to FDA for two doses of an investigational fixed-dose combination of emtricitabine and tenofovir alafenamide (F/TAF) for the treatment of HIV-1 infection in adults and pediatric patients age 12 years and older, in combination with other HIV antiretroviral agents. The F/TAF NDA is supported by data from Phase III clinical studies evaluating the safety and efficacy of E/C/F/TAF for the treatment of HIV-1 infection among treatment-naïve adults, in which the F/TAF-based regimen (administered as E/C/F/TAF) resulted in non-inferior efficacy and improved renal and bone laboratory parameters as compared to F/TDF-based therapy (administered as E/C/F/TDF or Stribild). The NDA is also supported by data from additional Phase III studies evaluating the F/TAF-based regimen (administered as E/C/F/TAF) among treatment-naïve adolescents, virologically suppressed adults who switched regimens and adults with mild-to-moderate renal impairment. Also, bioequivalence studies demonstrated that the formulation of the fixed-dose combinations of F/TAF achieved the same drug levels in the blood as in E/C/F/TAF. In July, Gilead filed an NDA to FDA for an investigational, once-daily single tablet regimen combining emtricitabine and tenofovir alafenamide (TAF) with rilpivirine (R/F/TAF) from Janssen Sciences Ireland UC, one of the Janssen Pharmaceutical Companies of Johnson & Johnson, for treating HIV-1 infection in adult and pediatric patients 12 years of age and older. The data submitted in the NDA support the use of R/F/TAF among patients who are HIV treatment-naïve or who are virologically suppressed and want to replace their current antiretroviral treatment regimen.